Ahlen, March 2014. – Increasing standards and changing requirements of people in the bathroom are evident in the creation of ever new products and creative solutions. Aesthetics, comfort and functionality go hand in hand with architectural trends, but also with relevant standards and guidelines. Showers in particular have undergone an impressive evolution over the past decades. Kaldewei has played a key role in this development with pioneering spirit and a great sense of style. 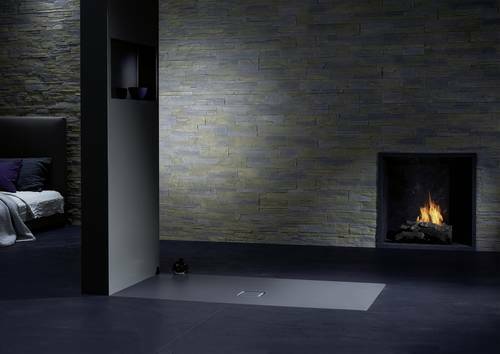 At the SHK 2014, the premium manufacturer is set to captivate its audience with a runway of product history with showers spanning a period close to 60 years: a path that has taken the shower from the deep tray all the way to today’s floor-level enamelled shower surface with integrated wall outlet. 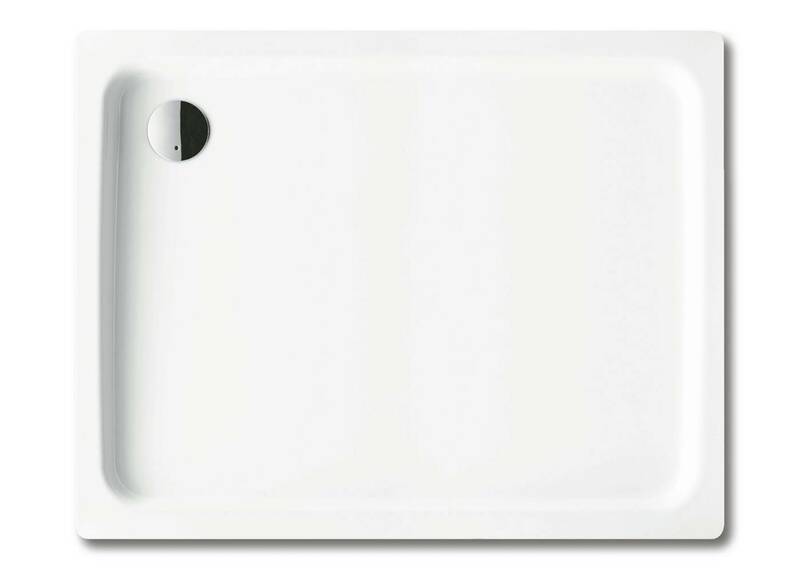 In 1956 Kaldewei started producing the first shower trays alongside bath tubs, made of steel enamel and measuring 28cm in depth. The milestones in the evolution of its showers since the 1950s will be presented in a formidable display on a runway created for the SHK Essen. Standing in place of the various evolutionary stages, the Sanidusch will feature with a depth of 14 cm, the Kaldewei Duschplan with 6.5 cm, and the Kaldewei Superplan Plus with only 2.5 cm, ending with the floor-level enamelled shower surfaces Conoflat and Xetis. The presentation will demonstrate the ever flatter and bigger design of showers over the past decades. The demand for showers with smaller edges and greater scope for individual design along with the requirement of barrier-free access, comfort and aesthetics in the bathroom have steadily pushed the evolution of the Kaldewei shower. Showers originally had a purely functional character. Over the years, however, the standards of comfort and design have risen. For a long time, 90 x 90 cm was the largest size Kaldewei offered for shower trays. As recently as up until the 80s, only four sizes were available in two different depths – 28 cm and 15 cm: 80 x 75 cm, 80 x 80 cm, 90 x 75 cm and 90 x 90 cm. Gradually, the range was extended adding further sizes to meet the demand for greater freedom of movement. A trend that has continued up until today. Only recently, Kaldewei increased its popular Conoflat range by four additional sizes – up to an XXL format of 100 x 180 cm. From a quarter circle to a pentagon: Along with the steady growth in the range of sizes, Kaldewei continuously added new shapes, providing bathroom designers with greater flexibility in bathroom design. With ever more slimline showers came an adjustment of outlet diameters from 52 mm to 90 mm to provide the required flow rate of the water. Superplan and Superplan Plus were Kaldewei’s first showers to be installed absolutely flush-to-floor with a maximum depth of only 2.5 cm. Both models stand for a further evolutionary stage on the way to the enamelled shower surface. 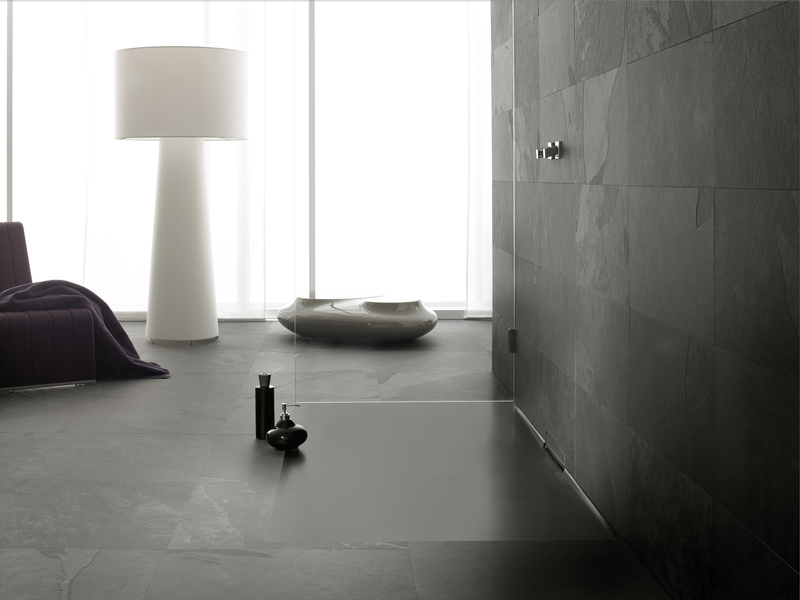 Kaldewei introduced the first flush-to-floor shower surface in 2009 with the Conoflat. A huge success, this milestone in bathroom design promptly received a number of prestigious design awards, including the interior innovation award – Best of Best and the Design Plus Award. With the Conoflat Kaldewei also launched its Coordinated Colours Collection. Its selected matt colours harmoniously blend the shower surface with natural wall and floor materials such as stone or wood. The latest development to come from Kaldewei’s Design Centre marks the current pinnacle in the evolution of the shower: the Xetis. 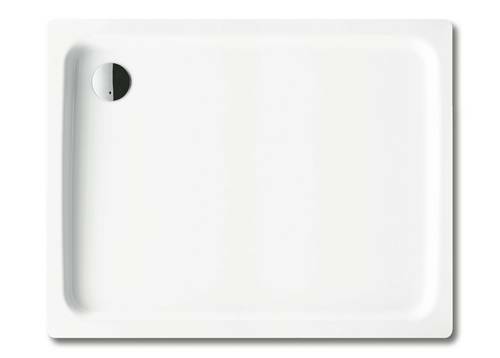 It is the world’s first enamelled shower surface with an integrated wall outlet, its minimalist design providing new scope for design in modern shower areas. At the SHK Essen the premium manufacturer will be visualising the product history of its showers spanning a period close to 60 years with a runway: a path that has taken the shower from the deep tray all the way to today’s floor-level enamelled shower surface with integrated wall outlet. 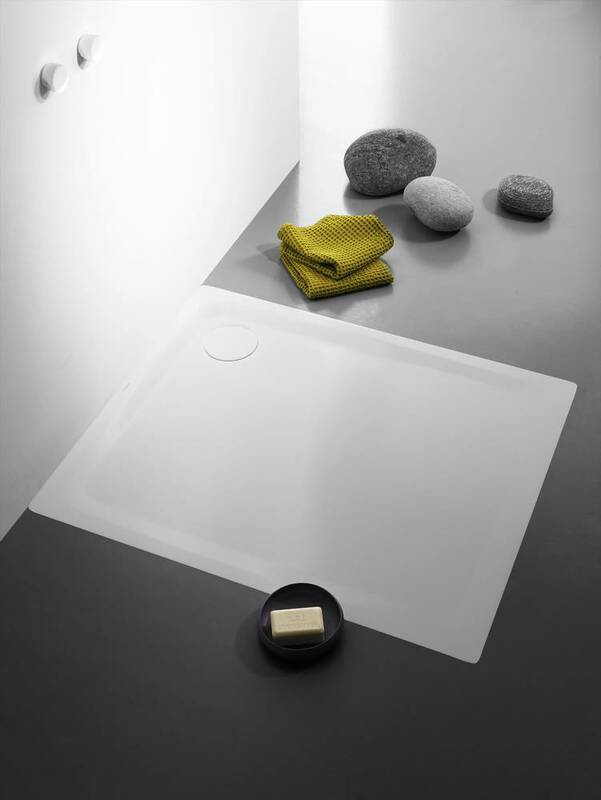 First station: the Sanidusch shower tray with a depth of 14 cm. Kaldewei showers have always been crafted from a single, seamless piece of steel. Finished with high-grade enamel fired at around 850°C, the steel and enamel form a virtually inseparable bond. At a depth of 6.5 cm, the Duschplan is a further step in the evolution of the shower. The evolution of the shower is reflected not only in the design of the products, but also in their description: from shower tray to enamelled shower surface. At a depth of 2.5 cm, Kaldewei’s Superplan Plus marks yet another step in the evolution to enamelled shower surface. Enamelled shower surfaces from Kaldewei are versatile and suited for use in modern homes as well as hotels or hospitals and nursing homes. 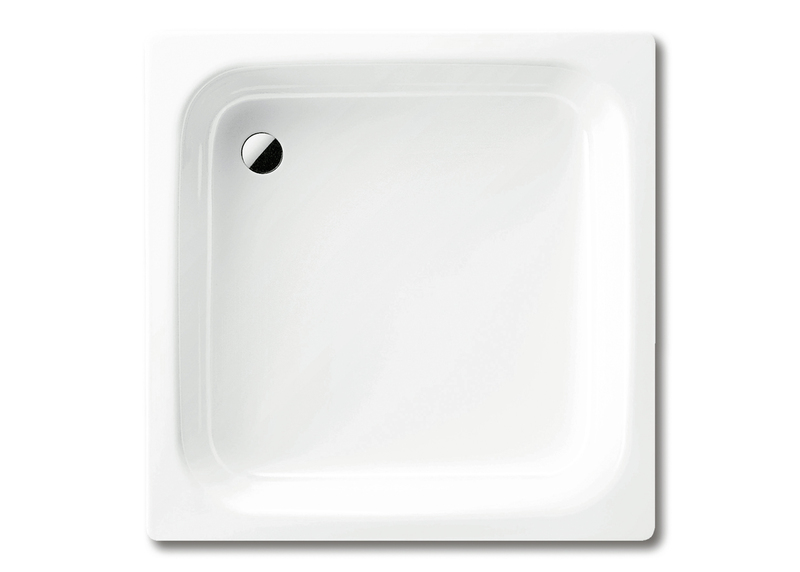 Their smooth surface is durable, hygienic and easy to clean. Shown here: the Conoflat. The first floor-level surface from Kaldewei, which is also available in the exclusive colours of the Coordinated Colours Collection. Xetis, the latest development produced by Kaldewei’s Design Centre, marks the current pinnacle in the evolution of the shower. The smooth shower surface with integrated wall outlet and the exclusive colours of the Coordinated Colours Collection make the system solution – comprising shower surface, installation frame, waste fitting and sealing system – an aesthetic highlight in any bathroom.